From early on in Donald Trump's campaign, he has had the support of former U.S. Sen. Scott Brown. "It was challenging at times," Brown said. "But I did not waver. Even the day of the election, my wife said, 'Well he's going to lose.' And I said, 'No, he's not, he's not going to lose.'" But will he be a member of Trump's administration? "If he said, 'You know Scott, we need you for the VA,' man, I'd do that in a second," Brown said. "Because people are dying and I'm so passionate about it." Brown added that he would consider other roles if they were offered. "And then housing, I'm very passionate about housing, you know, having lived in 17 houses by the time I was 18. I've been working on that," he said. "I'd be honored to work at HUD." 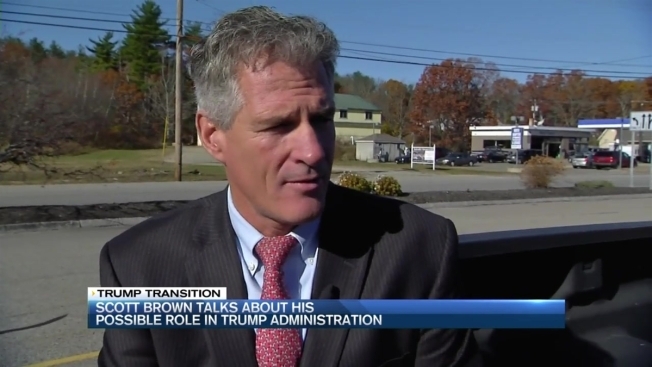 Some New England Republicans who come from the more moderate, establishment wing have suggested that Brown would be a good addition to the Trump team, as he is, in some ways, an outsider now, though he does know how the Washington system works.